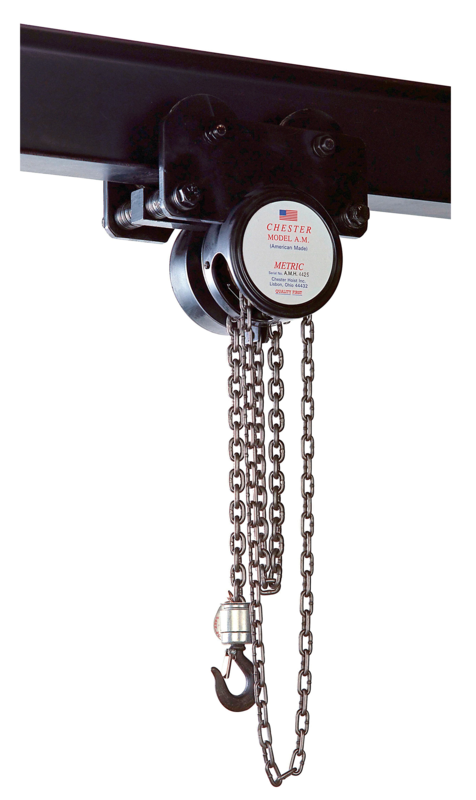 Hand Chain Over-Hauled to Lift Load One Foot: 44 ft.
Std. I-Beam Flange Width: 2-5/8 to 4-5/8 inches, S Beam or Wide, AM Army Types are designed for straight-track operation only. 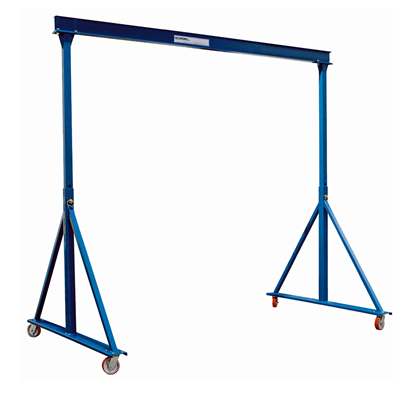 Frame: Lightweight and compact, durable steel frame with heat treated load bearing components. 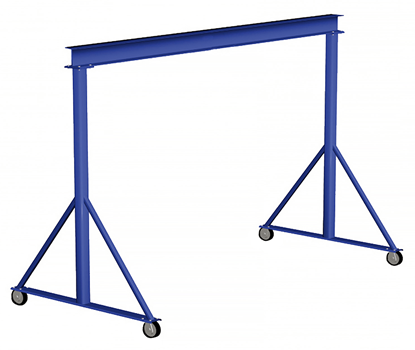 4 to 1 design factor for optimum strength at load bearing points. Gearing/Bearings: Rugged steel gear and handwheel covers for impact resistance and durability. All bearings are factory lubricated and sealed. Load Brake: Weston Style brake for load handling. Tests/Specifications: Load tested to 125% of capacity before shipment. 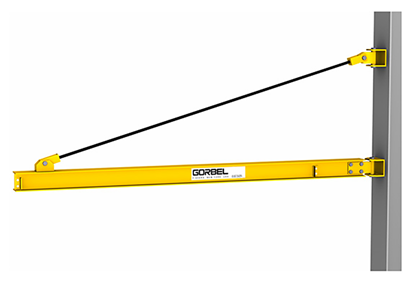 Meets ANSI B 30.16 Safety Standards.